Automated industrial control systems monitor a huge array of modern processes including energy production, power generation and manufacturing of pharmaceuticals, chemicals and discrete devices such as semiconductors. These automatic control systems are well tested and reliable – as long as they remain supplied with power. SENS chargers and DC power systems supply clean, non-stop DC power to ensure critical controls continue operating normally despite poor power quality or outage. Our customers include both well-known end-users and OEM suppliers to these vital industries. Industry-leading dependability: With field-observed MTBF ranging of greater than 500,000 hours SENS utility and industrial chargers are the most dependable available. SENS’ dedicated employees, robust designs and the most advanced Lean Production System in the industry maintain this high performance year after year. 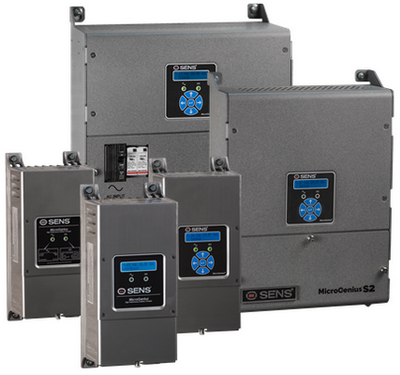 Innovative packaging: SENS complete DC systems — featuring charger, batteries, and distribution in a single package — provide packagers with unique, space and labor-saving switchgear power options. Highest precision charging: Many battery suppliers agree that charging accuracy is the most important factor in the battery achieving its rated performance and life. 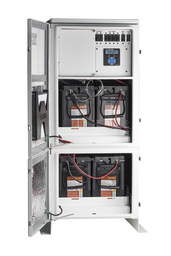 SENS voltage regulation, temperature compensation and user adjustment systems are the most precise in the industry. Unmatched agency approvals: SENS chargers of course include C-UL listed and CE marked safety agency approvals. EMC approvals include compliance with both FCC regulations and the CE EMC Directive. SENS is the only charger supplier delivering complete families of chargers certified to IBC 2000-2009 and Cal-OSHPD.